I'm a christian who seeks and speaks and writes for more of a REAL RELATIONSHIP with my Lord my creator and king. The inspiration of the message I share is this: Christ's heart in us, and ours in Him; His breath we must breathe, and His life, live..LITERARILY. Christian music band The Afters released their latest album, The Beginning and Everything After in 2018. The album, a tribute to over ten decades of often brilliant melodies from the group of four, includes some of their most loved and widely played songs. It also features new material: two songs, Well Done and Fear No More. At the time of this review, ‘Well Done’ charts within the top 30 of Billboard’s Hot Christian Songs, and has received regular airplay in the US for weeks. But Fear No More seems to be just as popular with fans who have heard it. That’s because it ticks a lot of boxes: a perennially relevant message of trust in God, delivered in easy lyrics, and with a nice contemporary tune. Josh Havens, the band’s lead singer, has made this point in interviews he’s had about the song. The song itself does sound like a modern anthem, or at least a hymn written in contemporary language. And the melody in which it’s wrapped helps its delivery as well: a good dose of percussive beats adds some auditory weight to its general tune. All of these are brought together in a way that makes the song easy to sing along to, and lets the crux of it get to the listener as they do so. These lines are a fine description of the kind of faith and confidence which Christians all over the world seek to have. This perhaps explains why Fear No More has become popular with many. It’s a song with a call to that ideal, and they’re singing and praying it in increasing numbers. Josh Havens admits that he’s long struggled with anxiety. He says that his battle with this, as well as other issues he and his band members have faced, motivated them to write the song. Jordan- that’s Jordan Mohilowski, the band’s drummer -also says he’s had to deal with intense anxiety. And out of those discussions and honest sessions, Fear No More was birthed. Since its release, Fear No More has gained significant traction. In four months, its lyrics video on YouTube has had over a million views. While current airplay focuses on The Afters’ other new song, Well Done, this reviewer expects Fear No More to do at least just as well as on the charts. Beyond video views and charts, it’s the encouragement preached by the song that makes it such a great piece of art. It reminds us that our fears are defeated when we fully trust in God. He alone is the source of true, lasting confidence, and eternal victory. I struggle to keep a straight face while casting myself as an unbiased commentator on For King & Country’s Joy. I’m a fan! How do I try my hands at stabbing and slicing up this piece of melodic goodness? Unless you’re a die-hard hymns-only fella who doesn’t fancy contemporary Christian music (and that’s fine), you’ll almost certainly find yourself bopping your head to the beat of this song. The more careful listener will warm up to its simple, brilliant and powerful lyrics. It’s not your regular stereotypical cliché stuffed Gospel song (For King & Country aren’t in that business), so you’re unlikely to get bored by it after just a couple of replays. Now that I’m done with gushing, let’s see about having a proper music review. 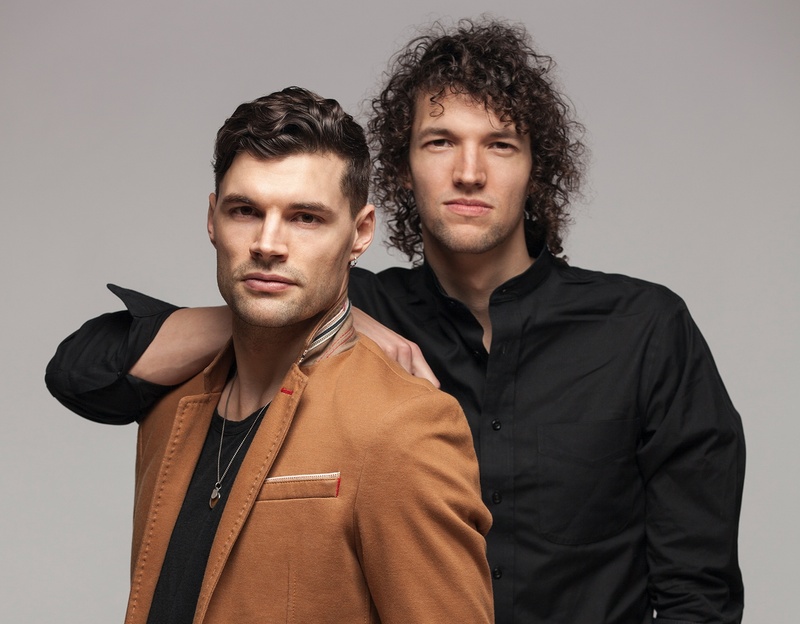 Australian-American band For King & Country released Joy as a single in May 2018, as a foretaste of the band’s then upcoming album, Burn the Ships (the third they’ve produced thus far). Like the rest of the album, Joy draws on the everyday experience of our lives, and speaks of a hope beyond the troubles we face- a hope we should embrace. Band members Joel and Luke Smallbone are keen to point out that Joy is a call to the faithful to defy the turmoil and uncertainty around them by choosing joy. They say they’re presenting an alternative to fretting and pessimism (perhaps even animousity) as reactions to the turbulent state of the world’s environment, politics, societies and the personal problems that besiege our individual lives. As you’d expect of a well thought out song (more on this shortly), the message is kept afloat by the melody. 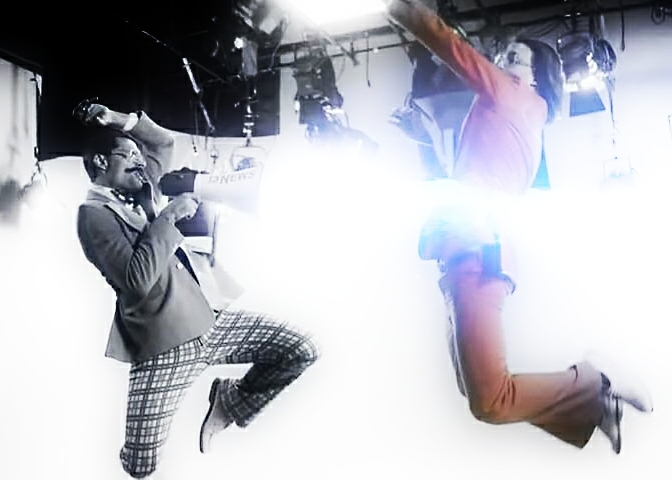 Its rhythm and beat make it very danceable- and joy inspiring. It’s essentially an encouragement to rejoice in the face of trials and tribulations, wrapped in an exotic, almost festive sound that makes its optimistic content even more attractive. My take on Joy as a work of art is that it’s expertly created. And when you realize that it took six months and more than 80 rewrites to come up with the current 3:53 minute version on the album, you appreciate the effort put in by the Smallbones and their co-writers to craft a sweet summon to joy for a world that sorely needs it. Luke Smallbone has explained that the idea for Joy cropped up two years ago, while the band was having a discussion about what their next album would be. The discussion soon tended in the direction of encouraging people to be joyful in spite of the troubles they were facing. They finally decided on Joy as a theme when a friend also spoke to them of his strong belief that the world needed to hear the message. The music video for Joy was also released in May. The mostly black-and-white video portrays a 1960s newsroom, and features Joel and Luke Smallbone, and Candace Cameron Bure, a well known TV personality in the US. In the video (which starts off with Joel and Bure relaying news of a mega storm sweeping across the USA), Joel and Luke spread the talk of joy as they walk through the station’s premises. Eventually, their black-and-white environment turns polychrome as they lead the staff (including an initially pessimistic Bure) to dancing. The viewers (an old couple) join in the dancing when they see the gloomy broadcast replaced by live images of media people rejoicing. The video’s symbolisms are, in general, easy to grasp (especially for Christians). Joel and Luke weave through the passages at the TV station and invite other workers at the station to join them; that’s an allusion to spreading the (joyous) Good News. The old tape which the brothers dump in the bin is a recording of bad news (fill this space with whatever trials and terrors you’ve faced). The new tape, which plays to display colour images (instead of the dull black-and-white in most of the video) is a reference to Christ; when it’s pushed to the ground in anger by Bure (i.e. when it dies) it gives out its colour (life) to everyone and everything- including Bure -and gets them all dancing for joy. Joy peaked at number 2 on the Billboard Christian songs chart, and is in the top five of the top Christian songs of the year for 2018. It’s safe to say that it would have done even better on the charts if it hadn’t been for the exceptional runs enjoyed by Cory Asbury’s Reckless Love and Lauren Daigle’s You Say this year. Joy is a feel good take on a crucial aspect of the Gospel- or one of its benefits. It’s the sort of song that ages very slowly, and sparks life in you when it floats into your ears. Living worship to God, “Sacrifice Infinite”.